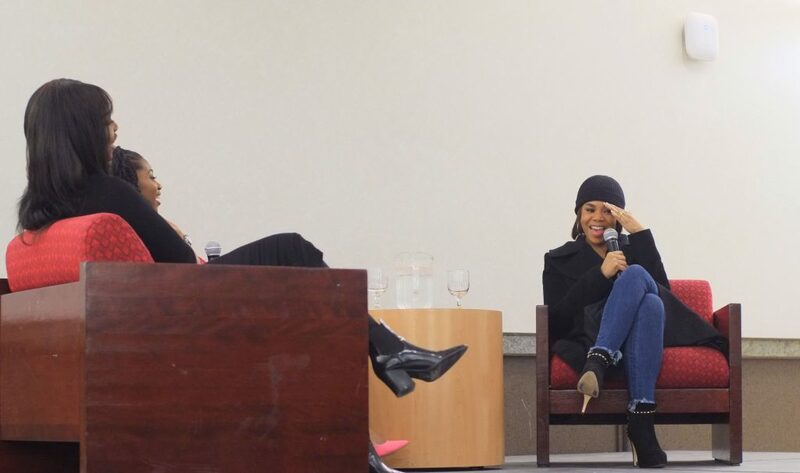 Jacob Hanna/Pipe Dream Photographer Regina Hall, an actress known for her role in the 2017 film “Girls Trip,” spoke to Binghamton University students on Feb. 23. The address was part of the Black Student Union’s Black History Month celebration. Actress Regina Hall doesn’t remember celebrating Black History Month during her undergraduate years. When she spoke at the Black Student Union’s keynote address on Friday, Feb. 23, Hall said she was taken aback. “I’m looking at this, looking at your [Black] Student Union and seeing how powerful that is and it’s like, it’s glorious to be able to be united and have this kind of passion,” she said. Hall spoke to hundreds of students at Friday’s event about her time in school, her path to stardom and her role in the entertainment industry. Her most recent film, “Girls Trip,” is about four college friends reconnecting. Hall told audience members that the goal of this film, which was chosen by Time as one of the top 10 films of 2017, was to depict all aspects of black female identity. During the audience Q-and-A segment of the address, Kai Moon, a sophomore majoring in business administration, asked Hall if there would be a third installment to “The Best Man” films, to follow up the 1999 original and its 2013 holiday-themed sequel. Hall confirmed there will be one. According to Moon, who said she has loved “The Best Man” since she was little, even before her parents allowed her to watch the entire R-rated movie, she was thrilled to speak to Hall. Dasia Jones, a junior majoring in accounting, said she left the event feeling inspired.